The fifth reason Dietrich Bonhoeffer can impact twenty-first century preaching and preachers is that he exemplified serving Jesus in the severest of trials. While Bonhoeffer often agonized over the role the church should play as Adolf Hitler’s polices were enacted, he continued to focus his energy on pleasing his Lord and obeying the Word of God. From the moment Hitler became chancellor of Germany on January 30, 1933, Bonhoeffer suffered setbacks and opposition for his commitment to Jesus and for his stance that the church should be a voice for the innocent in society. For example, just two days after Hitler rose to power, Bonhoeffer delivered a message on the radio warning the nation that Hitler may be a “misleader” who will eventually mock God. Bonhoeffer never finished this address because he was cut off the air. This may have been the first action by the new government against free speech. Of course, Bonhoeffer was now in a sense a “marked man” because of his views. Bonhoeffer worked hard to provide the church with a backbone, even though setbacks plagued him until his death. For example on August 5, 1936, he was no longer allowed to teach at Berlin University.In September of 1937, the Seminary at Finkenwalde was closed by the Gestapo. 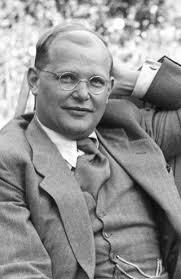 On January 11, 1938, Bonhoeffer was informed that he could no longer work in Berlin. On September 9, 1940, he was prohibited to speak publicly and was ordered to regularly check in with the police. On April 5, 1943 he was arrested and imprisoned. In July of that year, Bonhoeffer went through intense interrogation.On February 2, 1945, he was sentenced to death and on April 9, 1945, Dietrich Bonhoeffer was executed at Flossenberg. Yet, this passivity and inaction of the church would allow for the “the insidious Nazi takeover of the churches.” In 1933, Bonhoeffer pleaded with the church to remain true to biblical values. Nevertheless, in July of the same year, the Evangelical Church in Germany (composed of Lutheran and Reformed churches) elected as Reich bishop, Ludwig Muller. He was a sympathizer of Nazi polices and an “ecclesiastical counterpart to the political leadership of Adolf Hitler.” Thus, within the church, Hitler had an ally who would endorse his racial policies. The fact that Muller was elected by church delegates indicated Hitler had already cast his spell. The door was now open for national policies to become church polices. For example, the “Law for the Reconstruction of the Professional Civil Service” was passed by the German Reichstag on April 7, 1933. It contained the Aryan Clause which banned Jews from serving in the government. On September 4, 1933, the Evangelical Church adopted the Aryan Clause. From that point on, pastors of Jewish descent were denied rights at ordained ministers. We repudiate the false teaching that there are areas of our life in which we belong not to Jesus Christ but to other lords, areas in which we do not need justification and sanctification through him. A Christian who is willing to stand up together with other Christians for the faith of the gospel can expect to suffer. It has always been so. Redemptive history teaches that those who believe the Word of God, who uncompromisingly speak this Word and unyieldingly live in accordance with it often pay for their courage and resolution with their lives—from the ancient prophets to Jesus. In no masochistic fashion, but with spiritual eyes to see what suffering for the name of Jesus signifies about their eternal salvation, the apostles live out the dynamic of Jesus beatitude (Luke 6:22-23) and respond to their physical suffering with joy. As far as Luke is concerned, two things bring Christians joy: contemplating salvation and the honor of being dishonored for Jesus’ sake (Luke 10:20; Acts 8:39; 11:23; 13:48). Whether in singing hymns over the crackle of flames at stakes in centuries past or praising God while cleaning Chinese prison-camp cesspools in our own day, the hallmark of the Christian has been, and must continue to be, joy in suffering persecution (1 Peter 1:6; 4:13). In the face of persecution, the early Christians continued to joyfully press on in the mission to spread the good news about Jesus. In Nazi Germany, this meant standing up for the cause of Jesus and crying out against the injustices in society. This also meant suffering and even dying for Jesus. To Bonhoeffer, the church in Germany had a window of opportunity to face persecution like the first century believers. Instead she withdrew when the pressure to compromise mounted against her. Bonhoeffer was all too well aware of the cowardly retreat of the churches in the face of swift Nazi sanctions for acts of defiance to its policies. The Hitler government had inoculated itself against opposition through Gestapo terror and cruel reprisals. For Bonhoeffer, the fear of repression served no excuse for the church’s widespread failure to act; the silence and inaction of the churches made them accomplices in the crimes of the government…It was right action for the church publicly to oppose the Nazi government as it did through the Barmen declaration of faith; it was wrong to have kept silent during genocidal persecution of the Jews. It is true that twenty-first century preachers in America do not contend with a Hitler-like leader. Nor do they live with the daily possibility that they could be arrested or even executed for following Jesus. That day may come, but in the meantime, the followers of Jesus must “Put on the full armor of God so that you can take your stand against the devil’s schemes. For our struggle is not against flesh and blood, but against the rulers, against the authorities, powers of this dark world and against the spiritual forces of evil in the heavenly realms” (Ephesians 6:11-12). Thus, preachers today are to spend significant time in prayer seeking the strength of the Lord. Thank you for taking the time to read about how Dietrich Bonhoeffer can make an impact on us who preach the Word of God in the twenty-first century. I would appreciate any feedback. Please click the “Evaluation Form” at the top of the page; or leave a comment to this post; or e-mail me at bryan@harveyoaksbaptist.org. The feedback is crucial for the completion of my Doctor of Ministry at Gordon-Conwell Theological Seminary. Once again, thank you. Kelly and Nelson, A Testament to Freedom¸14. F.F. Bruce, The Gospel of John (Grand Rapids: William B. Eerdmans Publishing Company, 1983), 326. Larkin, The NIV New Testament Commentary Series: Acts, 97. Kelly and Nelson, The Cost of Moral Leadership, 46. Richard L. Pratt Jr., General Editor, The Spirit of the Reformation Study Bible (Grand Rapids: Zondervan, 2003), 1913. Stott: The Bible Speaks Today: The Message of Ephesians, 263. Bruce, The New International Commentary on the New Testament: Epistles to Colossians, Philemon, Ephesians, 404. Frank E. Gaebelein, General Editor, The Expositor’s Bible Commentary: Ephesians; Philippians; Colossians; 1,2 Thessalonians,1, 2; Titus; Philemon (Grand Rapids: Zondervan), 85. Bruce, The New International Commentary on the New Testament: Epistles to Colossians, Philemon, Ephesians 403. It is easy to see why many in the United States saw Hitler as the Anti-Christ of Revelation and Muller as the False Prophet. However, clergy on our side of the Atlantic could speak so boldly so easily because our churches were not facing such persecution. As I read your summary of historical events I had to ask myself, “What would I have done as a minister in Nazi Germany? Would I have embraced the call of Bonhoeffer?” We clergy often think, “Maybe if I pray urgently and wait upon the Lord (thoroughly biblical mandates), these problems will eventually go away.” What Bonhoeffer saw was how insidious, far-reaching and all-consuming evil in German society had become. The challenge for today’s clergy is to acquire the skill and the courage to perceive the evils in our society for what they are and confront them (and our Adversary) boldly and publicly. Thank you for comment and insight here. I have often asked myself the same question if I was a pastor in Nazi Germany. I am afraid that I would have caved in to Hitler like many others. Yet, we live in America today. So your challenge above needs to be taken to heart. Thank again for your comment. I am also attending Gordon-Conwell thru their extension school in the midwest. Can I have permission to use parts of your blog as a resource for a short paper I am writing? Absolutely Rick. What program are you in?